Pie and I were really torn when we were house hunting for a brand spankin’ new home in Denver. What a first world problem to have! Aye! We were trying to decide between a new home in a community called Midtown, that was located about six miles north of downtown Denver, or a new home in a community called Stapleton, that was located about eight miles northeast of downtown Denver. Midtown on the left, Stapleton on the right. Which one should we choose? We couldn’t go wrong with either! Both communities were close to downtown, would have train stations nearby in 2016, and had really cool homes and layouts to choose from. 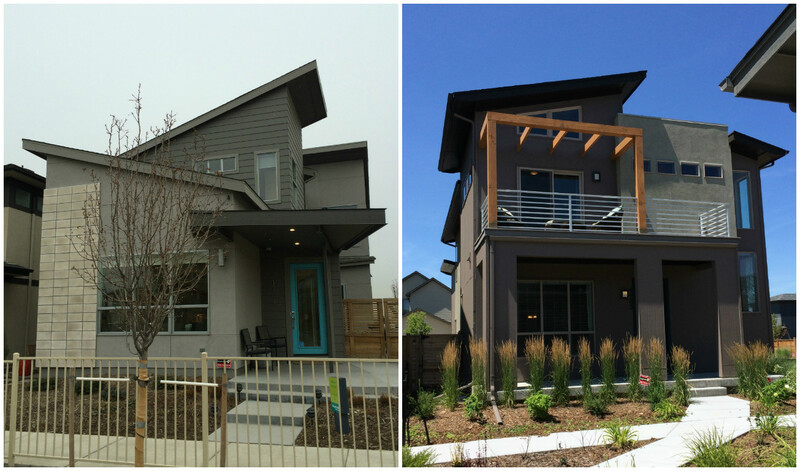 I really liked the outside, modern look of the Stapleton homes more, while hubby really liked the energy efficiency of the Midtown homes more. But both of us could go either way. We loved both options and could not go wrong with either choice. So how on earth would we decide which community to buy a home in?! Needless to say, we visited the model homes of both these communities quite a bit. We strolled around at a painfully slow and suspicious pace and blankly stared at the insides and outsides of these homes hoping to discover the answer that had probably been staring us straight in the face all along. But we came up with no such answer. At one point, hubby was somewhat convinced that Midtown was a better option because of how energy efficient the homes were (he really liked that they came standard with solar panels and great windows), and since I couldn’t decide which one was better, I began following this logic. Hubby is a smart guy, after all, (and an engineer!) and I trusted his decision on buying a home much more than I trusted mine! We visited Midtown for the billionth time and finally sat down with a sales person that showed us a huge corner lot available that really appealed to us. Hubby was ready to jump, but I was nervous and couldn’t commit. It was a huge decision and a lot of money and I needed to feel really confident and excited about the community we chose. I took a drive by myself around the area surrounding Midtown one day and decided I was so turned off by the idea of living in such a boring, ugly industrial neighborhood and sending our future kid(s) to school in a potentially bad school district. I was finally convinced that Midtown was not the community we should buy into, even though a lot of people kept telling us that the neighborhood would grow into something beautiful and one day we would be the envy of all the people wanting to live near downtown in a hip, affordable neighborhood. A sampling of what surrounds Midtown. Lots of industrial factories! I was actually excited about my new-found hatred for Midtown! This meant I could confidently say that I liked one community over the other and we could finally make a decision on where to live! 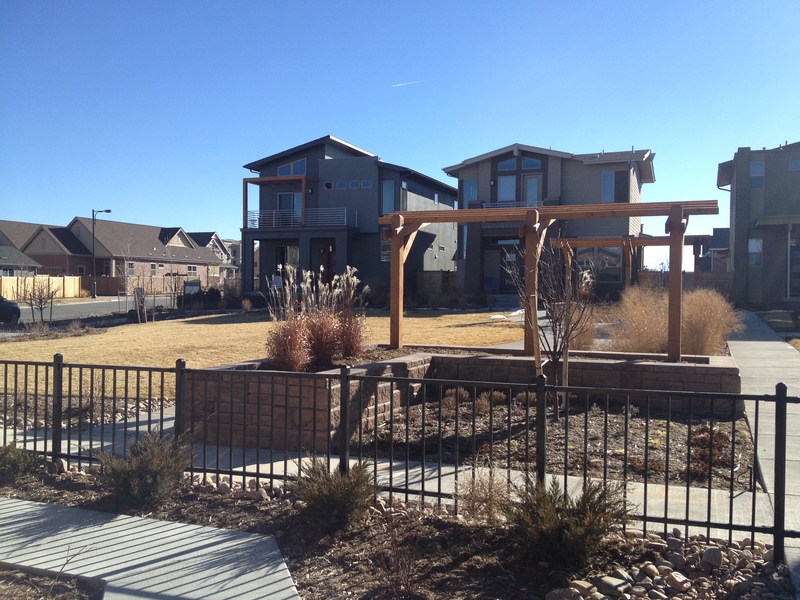 I also drove around the Stapleton neighborhood and in the midst of its already grandiose beauty, I noticed one thing. The houses were so close together! 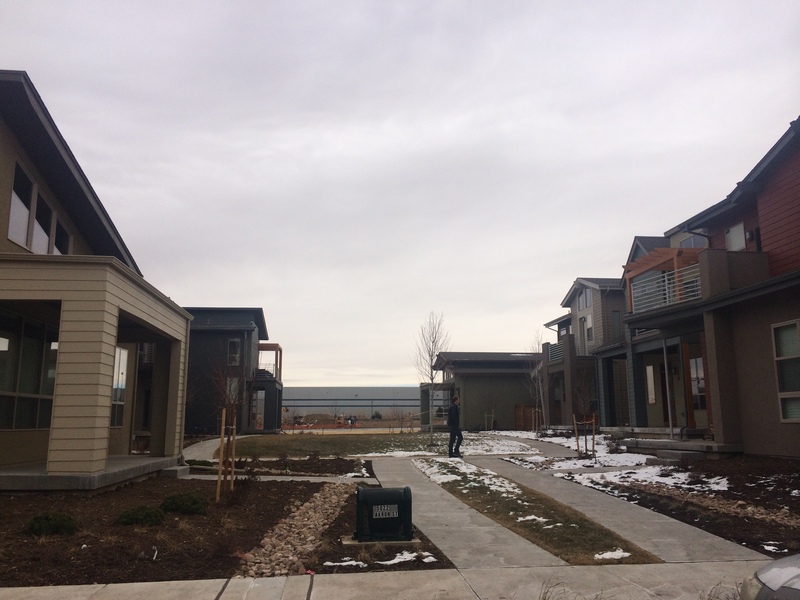 I hadn’t noticed this detail already because the particular builder we were interested in at Stapleton had their cluster of model homes built around a spacious and impressive shared, grassy courtyard. What I didn’t realize, until I really thought about it, was that the home we might get may not have the same spacious, shared courtyard, since we were just looking at a tiny map of lots and neighborhoods to choose from that were drawn to a scale that was difficult to comprehend. 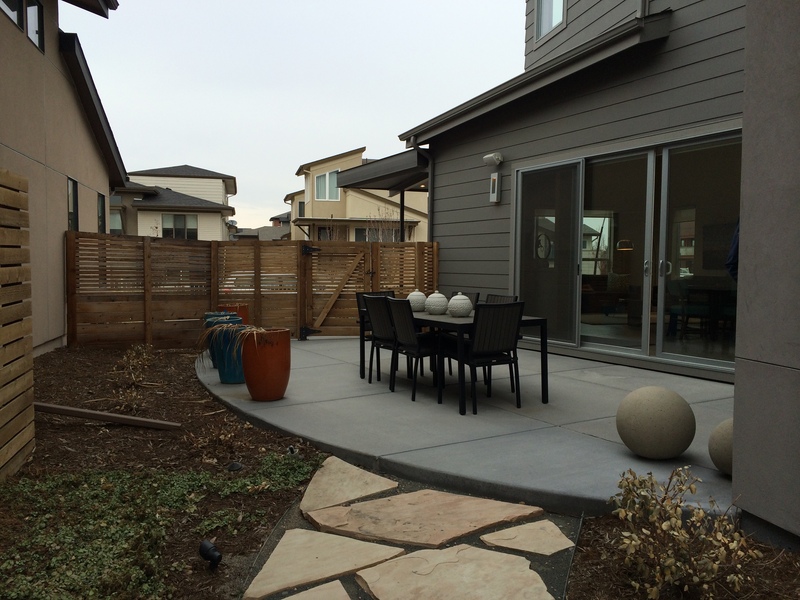 The shared courtyard at the Wonderland model homes in Stapleton. These courtyards were much roomier than the potential one we would have. So I drove around the Stapleton community some more and saw what our cluster of houses would potentially look like by looking at similar blocks of homes already built. We would share a tiny grassy area and our front door would be a stone’s throw away from our neighbor’s front door. Furthermore, we would never have a house that anyone could drive by since it was situated around this courtyard with one row of homes facing the other. Now a year later, the block of Stapleton homes that were up for sale when we were shopping for a home have been completely built! The courtyard actually turned out not as bad as I had imagined. 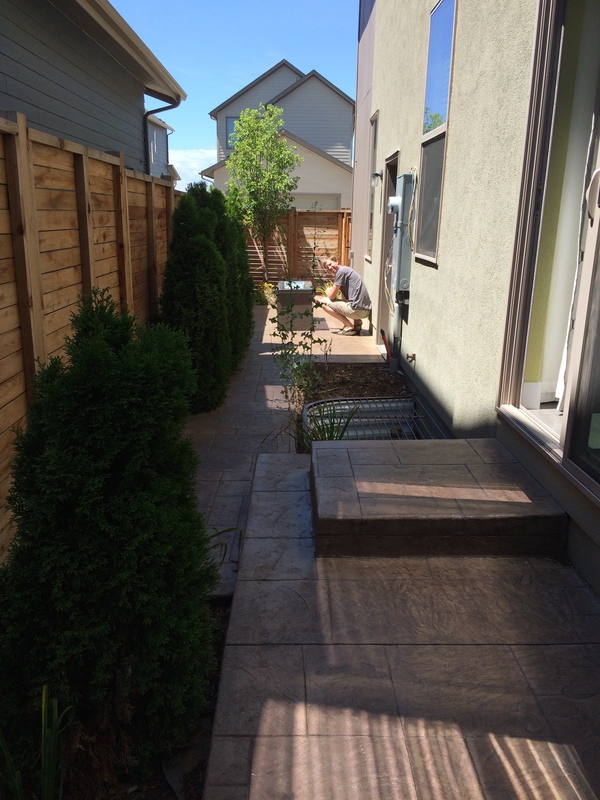 An example of the tiny side yards at the Stapleton homes we were interested in. For comparison, the backyard of the model home at Midtown. Although this wouldn’t be exactly what we might get at Midtown, in general they were still much bigger than Stapleton! I didn’t like Stapleton now! Luckily, I disliked it more than Midtown (or we would have been back to square one). Part of the reason we would not have minded having a small yard at Stapleton was having a big open space in front of the house. But apparently this might not be the case with the homes on the block we had to choose from at the time. I had finally discovered a deal-breaker! While I was still very nervous about the idea of living in the Midtown community that was surrounded by so much industrial stuff, I told hubby that if that corner lot at Midtown with the big yard was still available, it was a sure sign from the universe that we should move to Midtown. All that space on that corner lot seemed really refreshing after driving around Stapleton and feeling suffocated by the cramped houses nestled so closely together. The very next weekend we drove to Midtown, nervous and excited and still somewhat uncertain if we were making the right choice, but ready to make a decision! But the enticing corner lot was sold! The corner lot with the big yard that we originally wanted. Now that the home is built, we see that it might have actually been too much yard! It would have cost a fortune to landscape! We didn’t know what that meant. Was that a sign from the universe that we shouldn’t choose Midtown? We left the Midtown sales office that day with a new map that had a set of newly released lots for sale and a whole new decision to make!